Camden, NJ April 21, 2014 -- The New Jersey Business Incubation Network (NJBIN) has selected 18 high-performing companies from its 13 incubators to be recognized at its Second Annual Business Incubation Awards on April 25, 2014. Thomas Bracken, president and chief executive officer of the New Jersey Chamber of Commerce is the keynote speaker for the event. The award-winning companies are from wide range of industries, including the life science, information technology, and environmental industries. The event is cohosted by the New Jersey Technology and Entrepreneurship Talent Network, which is hosted by New Jersey Institute of Technology and funded by the New Jersey Department of Labor and Workforce Development. Sponsors of the event include BioNJ, Lam Cloud, the New Jersey Technology Council, the New Jersey Chamber of Commerce, and the Angel Venture Fair. The winning companies from each incubator are listed below. Agreenability, a company that has developed a heat exchanger that is much more efficient at exchanging heat with the earth than traditional approaches, which it sells HAVC companies that design and install Geothermal Heat pumps. Optimal Solutions Inc., an IT and Engineering Consulting company developing customized software applications to model, optimize and simulate complex processes including manufacturing processes, supply chains, management systems, logistics management and research and development projects. American CryoStem, a biotech, life sciences company that provides a clinical grade, standardized processing platform to inspire powerful industry alliances and develop first-in-class cellular therapy products based on the transformative potential of adult stem cells. Nothing But Green Living Enterprises LLC, a company that specializes in eco-friendly green products. They offer a unique wax free green product that separates them from the rest of the green products on the market. Ascendia Pharmaceuticals LLC, a company that specializes in the invention, development, and commercialization of specialty pharmaceuticals and novel drug delivery technologies. Nanion Technologies, a German Company that is a spin-off from the University of Munich. They have developed and globally established four generations of automated patch clamp instruments and enabling tools for sophisticated and high throughput applications for ion channel research and drug discovery. Phone.com, a company that offers a communications phone service that aids small businesses, consumers and also developers. They are a building a marketplace that provides access to a full array of communications services which saves time, reduces costs and simplifies infrastructure management. WattLots LLC provides commercial property owners with a revolutionary new Solar Powered Arbor System™ designed to harness electrical energy from the sun in a cost effective, elegant architectural parking lot structure. Applied Dynamic Solutions (ADS), a full service New Jersey-based agency creating web sites and technical web applications since 1997. Zeenov Inc., a company that has developed a scalable cloud-based and high performance video, audio, desktop sharing and data collaboration and communication platform that can host on-line meetings or be embedded into virtually any website or software application. CSF Technologies, a provider of IT professionals on a contract, contract to hire and full time basis. They provide specialists in web development, technical support, systems integration and network security. DCM Architecture & Engineering, an incubator graduate that launched in 2009, constructs and maintains architecture and engineering from their offices in New Jersey, Maryland and New York. They have done work for NASA, the National Park Service and the White House. AL-G Technologies produces algal biomass that will target the feed, food and fuel industries. The company sprung from research originally done by Dr. Gaston Picard of Laval University in Quebec City. Energy Catalysis Inc. has a bench scale catalytic hydro-cracking process that converts coal or biomass/coal into clean liquid fuels and refinery feedstock. The catalyzed process can achieve conversion efficiencies of about 80%, as opposed to typical conversion efficiencies of 60 to 65%. First Field buys produce directly from growers in New Jersey and creates value-added products sold at top retailers, such as Whole Foods, Fariway Markets, and Dean & Deluca. Their flagship product is Original Jersey Ketchup. Limpert Brothers Inc. is a 111 yr old Company that created the original Marshmallow Fluff, World’s BEST Hot Fudge, B-Berry Fusion and other ingredients that are guaranteed to build businesses and promote healthy choices in consumers’ everyday diets. Milena Wilson, Esq. LLC is the solo law practice of Milena Wilson, Esq. A large part of her clientele is Spanish speaking because she is fully fluent in both the Spanish and English. 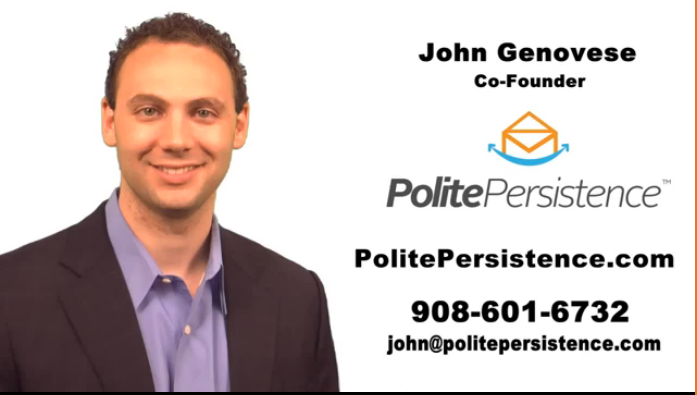 PolitePersistence LLC has created an email marketing tool that a fast and easy way to automatically send follow up emails. The New Jersey Business Incubation Network is a collaborative statewide community of business experts and resource facilities; dedicated to enhancing the commercial success of early stage and expansion stage entrepreneurial companies; growing higher paying jobs, and supporting the economic growth strategy for the state. The Technology & Entrepreneurship Talent Network is a strategic partnership of Information Technology (IT) industry employers, entrepreneurs, educational institutions, government agencies and professional and nonprofit community organizations. 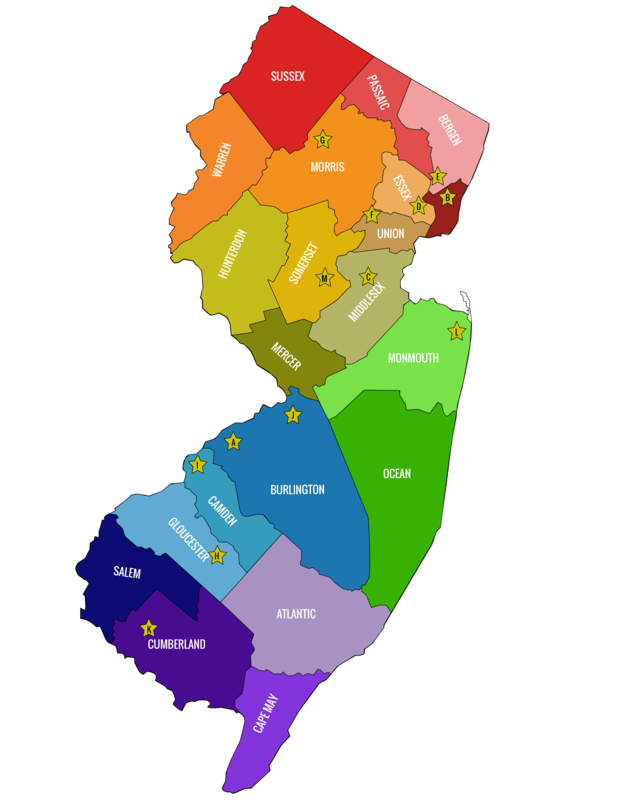 TETN was established by the New Jersey Department of Labor and Workforce Development to focus on the specific needs of key industries. It is hosted by New Jersey Institute of Technology. RSVP: The event is free, but registration is required. Register at http://bit.ly/14BINAwards.